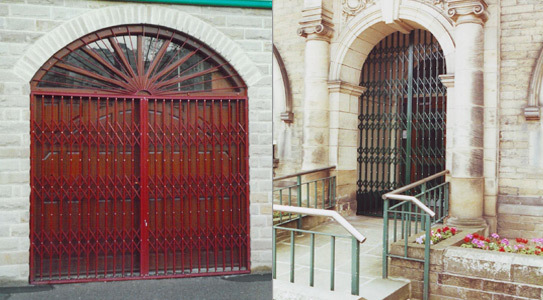 SWAT Security can design, supply and install window grilles, bars, roller shutter barriers and gates to all areas of Yorkshire and throughout the UK. 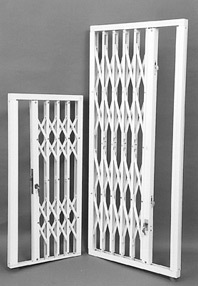 Our collapsible grilles, roller shutters, ornamental grilles and security bars offer a high level of physical security. The grilles we use are made to measure to your specific size and specification in the UK and can be finished in a wide variety of colours. Installing security gates and grilles on your window and doors can go a long way in helping make your home or business impenetrable to vandals and thieves. Grilles act as a physical barrier against intruders without obstructing your views or creating an oppressive atmosphere in your home or business. If you are looking to improve security in your premises, look to protect the most vulnerable areas of your building. Primarily doors and windows. 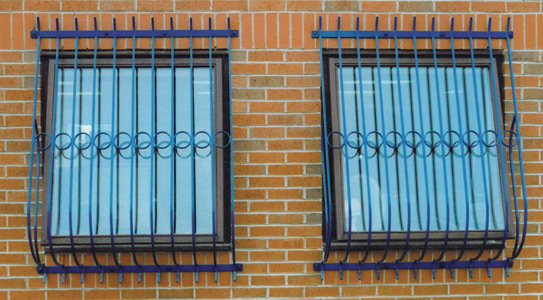 In order to most effectively prevent forced entry by intruders, our grilles and bars will provide you with this security as well as minimal obstruction, thereby allowing your home or business to be secure, while allowing in the maximum amount of light and air.